We aim to provide the best service possible at all times. There may be occasions when you feel this does not happen and if you wish to make a complaint about a doctor, nurse or any member of staff we have a complaints procedure. If you have had a good experience, we would also like to hear from you and thank you for taking the time to contact us as, this helps us understand what is important to patients, carers and visitors to our Surgery. Complaints should be addressed to the Practice Manager, Suzanne Ashworth, or any of the doctors. As a patient, relative or carer, you may wish to raise a concern about any aspect of your care but do not want to make a formal complaint. 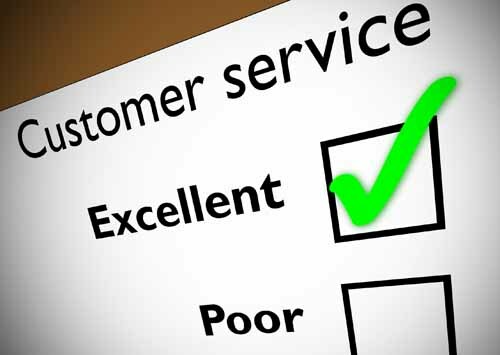 We aim to respond to those complaints at the time, but if you are not satisfied, then you are entitled to make a formal complaint. You may also make a complaint on behalf of someone else, provided you have their consent and the practice is satisfied you are acting in their best interests. If the practice decides this is not the case, you will be notified in writing and an explanation given. If you wish to make your complaint official, this can still be raised as an oral complaint, the complaint will be recorded and a copy of the written record given to you. It will be a great help if you are as specific as possible about your complaint. We shall acknowledge your complaint within three working days and aim to have looked into your complaint within ten working days of the date when you raised it with us, we aim to provide you with a written response within 28 days. We will let you know if it is likely to be longer than this, and keep you updated with the progress of your complaint. * make it possible for you to discuss the problem with those concerned, if you would like this. * identify what we can to make sure the problem doesn’t happen again. If a resolution has not been reached, you have the right to take the complaint to the Health Service Ombudsman. Please note that we keep strictly to the rules of confidentiality. If you are complaining on behalf of someone else, we have to know that you have their permission to do so. Please complete the complaints consent form. We hope that, if you have a problem, you will use our practice complaints procedure. We believe this will give us the best chance of putting right whatever has gone wrong and an opportunity to improve our practice. But this does not affect your right to NHS England (Surrey and Sussex) if you feel you cannot raise your complaint with us or you are dissatisfied with the result of our investigation. Healthwatch will work to help people get the best out of their health and social care services, providing them with advice and information on local services.